Have you ever left a movie theater feeling like you just needed to drive around to reflect? Jeremy Clark and I were chatting before the interview about the movie Moonlight. He described it as one of those movies you just have to drive around afterwards. I can’t remember the last time a movie or book effected me in that way, but I knew right away what he meant. To get so enveloped in a thing that conjures far too many ideas, thoughts, and emotions. From talking with Jeremy and what I’ve heard about it on NPR, Moonlight has some obvious parallels to Jeremy’s work. The story follows a young black man as he defines his identity dealing with questions of masculinity and belonging. Many of these same questions are asked in Jeremy’s poetry. Jeremy Clark is my guest today. He is a southern poet born in Louisville, now living in the Bronx. 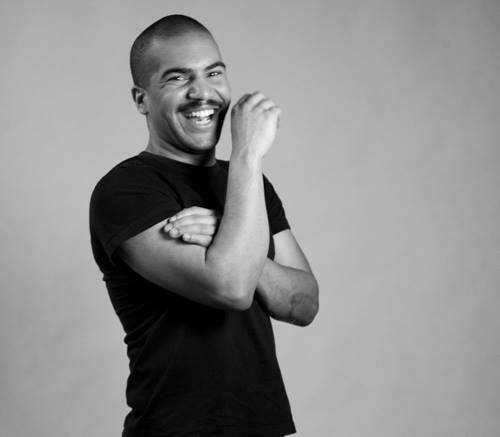 Much of his writing are reflections on family, home, masculinity, and being a Black American. Jeremy is a Cave Canem Fellow, has taken part in the poetry project the Conversation, and is currently working on his thesis manuscript at Rutgers University. We had a really great discussion during the holidays. We covered a lot of ground on subjects such as feeling like you never fit in, what being a good older sibling entails, and his projections for the next presidential administration. Enjoy the discussion below or subscribe to the podcast using iTunes. You can also find Blind Date on Instagram, Tumblr, and Facebook. Obviously, we all know what an hour is, and how long it takes-60 minutes. But what does it feel like? Could you judge an hour’s worth of time without a clock? Or does even the idea of distancing yourself from such a device cause you anxiety? My guest today is Andy Cozzens. Andy is a professor at the Kentucky College of Art & Design as well as an established artist in Louisville’s art scene. He is incredible interested in the progression of time, and his work plays on our perception of it. With many of his pieces, he hopes the viewer finds a therapeutic quality and stop for a moment of calm. And much like interacting with Andy’s art, the creation requires taking time, slowing down—Andy does hours of tests, research, and planning for all his work. Andy is yet another victim of a full schedule, so these hours can be as beneficial as any meditation. To learn more about Andy & his work, you can visit andrewcozzens.com. As always, click the player below or subscribe to the podcast in the iTunes store. Once again, the holidays are upon us…as well as the winter. I know things have been hectic and confusing this month, even before the holiday came. I have definitely felt out of sorts…but, I haven’t forgotten about you. I’m taking a little break this month, so today I’m pulling a interview from the archive. Right now, I’m in the midst of a big project which requires a lot of my time. The project is called ‘The Nothing About Me Without Me’. 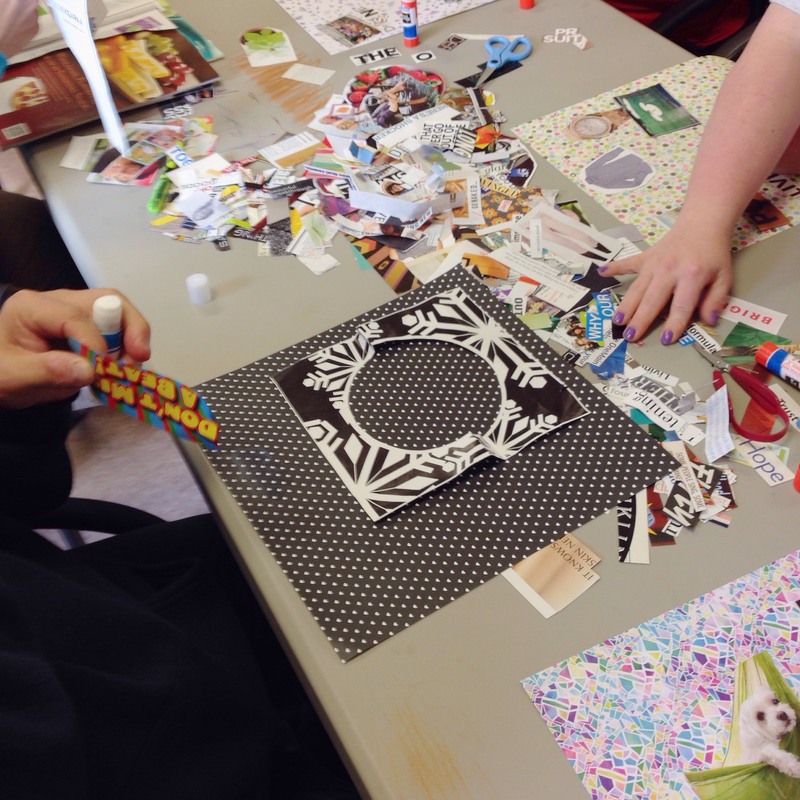 The premise of the project is to give the disabilities community a voice through art. Many great local organization are involved such as Zoom Group, The Council on Developmental Disabilities, and Down Syndrome of Louisville. The program consist of a various creative workshop and the process will be documented & turned into a film by U of L grad students. I’m contributing a series of interviews with artists in the program as well as leading some creative workshops. The interview series should start within the next two months, so keep an eye out! But, for now, enjoy this past interview from 2014. This one is with Isle Blansert, a video creator and ‘ASMRtist’. If these words don’t mean anything to you, they will once you click the link below. I think it’s fair to say that creatives have unique ways of looking at the world. And I feel like these perspectives lead them into activism, or at least form some kind of opinion on current affairs. Saying this, places like 1619 Flux seem natural to me. 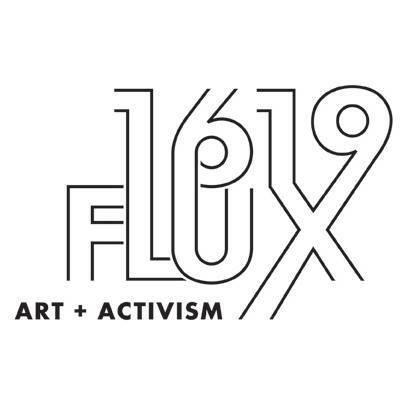 1619 Flux hosts art exhibitions, participatory artistic events, skill-building demos & workshops for adults, and forums for discussing social justice issues. Exhibitions rotate seasonally, and the artists come from a broad range of backgrounds, with a focus on individuals from West Louisville. For today’s episode, I spoke with Operations Director Michelle Bickelman and Artistic Director Jesse Levesque. We chat about what their near future holds, public art, the accessibility of art, and activism. I ramble a bit. Enjoy. 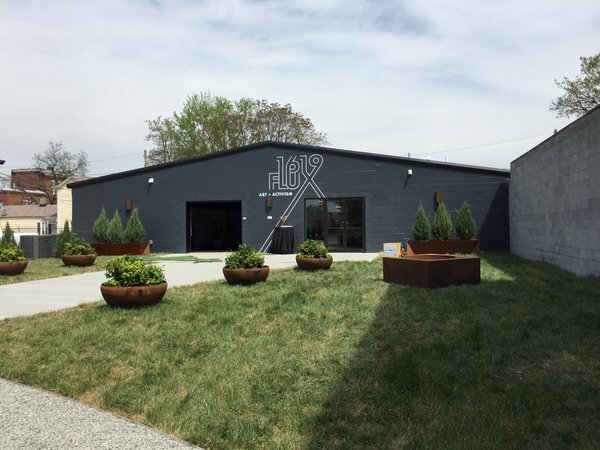 To learn more information, you can visit 1619flux.org. You can also find them on Facebook and Instagram. The other day I was thinking about how childhood memories, when looking back in retrospect, can be far more significant and formative than you once thought. For Ashley Brossart, one of those memories could be the mural her mother painted in her childhood home’s basement. It contained popular characters borrowed from television and coloring books—Ninja Turtles, Power Rangers, stuff that made up so many 90’s kid’s lives. 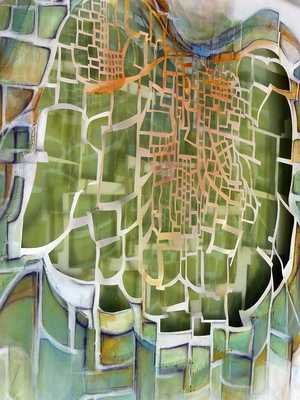 The influence of this collage style from her mother’s mural can be seen throughout Ashley’s work. Ashley is my guest today. We chatted a little about her work last week in her studio. She is definitely a very hands on artist, and one that has a grasp on many styles & mediums. 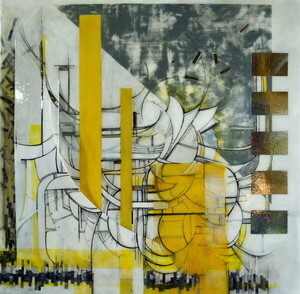 Her work is a natural consequence of all her experimentation, creating blended works full of movement. Ashley prefers large scale but she also has ongoing, kind of ‘creative geocaching’ projects, called Art Drops. 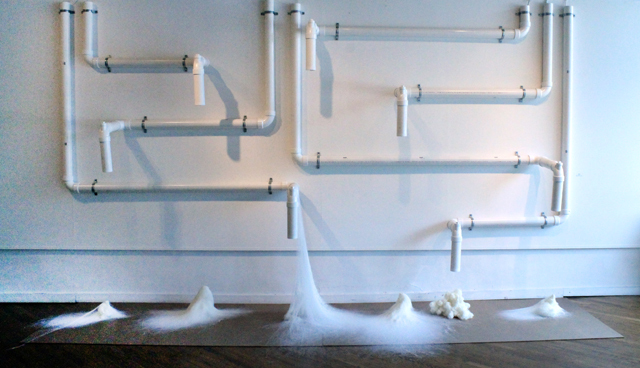 With the Art Drop series ‘Places & Spaces Tucked Away‘, the found pieces recreate a map of sorts. Ashley’s work tends to focus on how cities are always changing, and how we interact within them. With many of her pieces, she wants to give you the experience of exploring these urban locations. As an advocate of public art, Ashley is also a professional mural artist. You can more of her work at ashleybrossart.com. You can listen in to our chat using the player below, or subscribe to Blind Date on iTunes. Recently I finished a book from the ‘Arcana‘ series. The specific volume I read was ‘Arcana V—music, magic, and mysticism.’ The book is full of essays on different creative processes based in some sort of magical method, philosophy, or belief system. And the results of these processes can manifest themselves in many different ways. 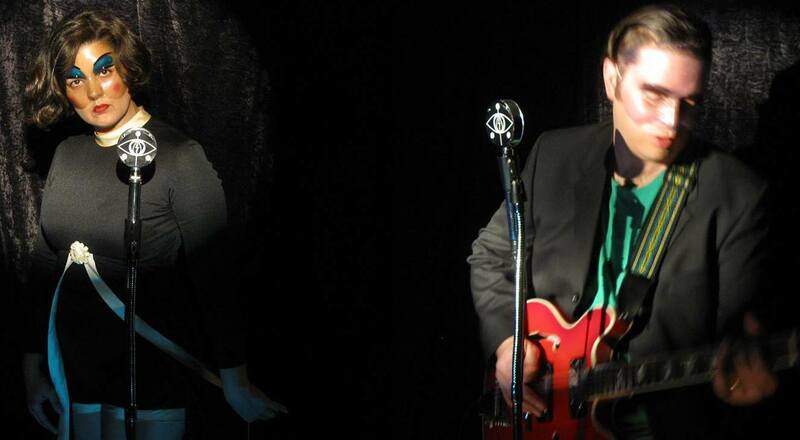 I’m not sure how much philosophy comes into play with the music of Shawna Dellecave & Jason Cox, but the name of their project is steeped in it. Their music project is called IamIs, which is a one word representation for all that is. And they tend to refer to their output as ‘Existential Pop Rock’. Shawna and Jason are my guests today, and we discuss IamIs’s newest release ‘Go Supernovae!’ which was funded through a grant from the Kentucky Foundation of Women. IamIs has been intensely active since 2004 resulting in quite the prolific discography. They cover lots of ground musically, and especially lyrically with imagery based verses. A thing that strikes me about Jason and Shawna is their community involvement. The discography I mentioned above is full of collaborations. And recently, they were featured on the ‘We Have A Bevin Problem—a Kentucky Music Compilation‘, which is a piece of social activism through music in response to the actions of Kentucky’s governor (the proceeds went to Planned Parenthood of KY & IN). Shawna is also a certified art therapist, and she recently has been working with other artists on a project with the Council On Developmental Disabilities. Of course, you can hear our discussion by subscribing to the podcast via iTunes, or use the player below. Back in November 2014, I interviewed two women behind the local band Lady Pyramid. In the midst of the discussions, we talked about the first annual Louisville Outskirts Festival and Rockshops for Girls. If you haven’t heard of either you’re missing out! Louisville Outskirts fest is a music festival that highlights the women and gender nonconforming individuals in Louisville’s music community. Rockshops for Girls was a weekend long workshop where girls form bands and perform their first set of songs. Since 2014, Outskirts & Rockshops have been going strong, expanding into a weeklong summer camp culminating in an ending showcase. 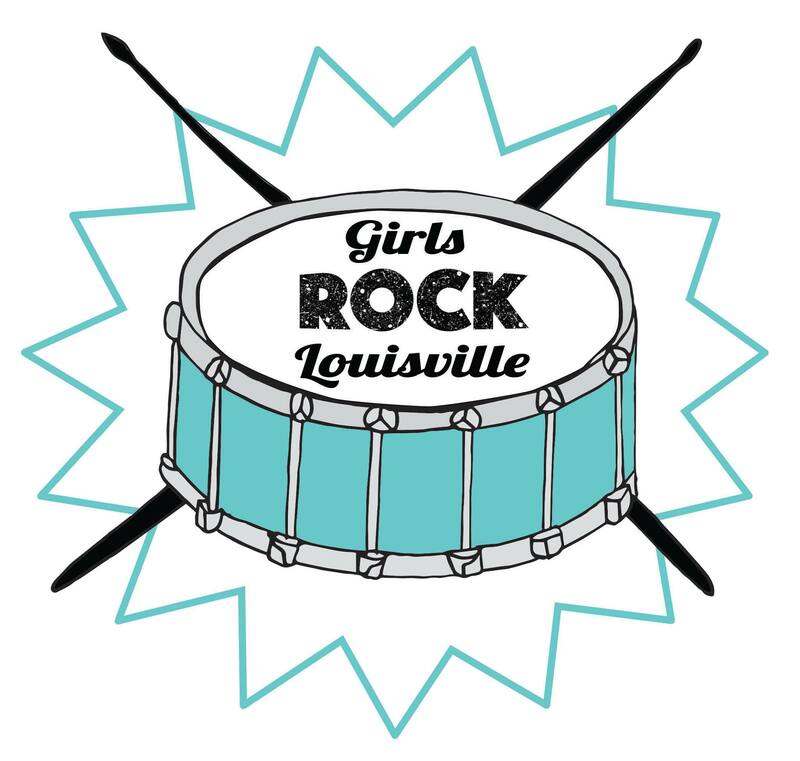 With the help of the international organization Girls Rock Camp Alliance, Girls Rock Louisville was formed. In addition to what Rockshops offered, girls and gender nonconforming youth will now also get to record in a local recording studio, learn self defense, and hear lectures on creative processes and self love. All amazing things. My guest today is a key organizer and counselor Riece Hamilton, formally of Girls Rock Jacksonville. She has come back home and brought the experience she had working in Jacksonville to Louisville. Our chat goes into further detail of what the camp is about, the activities, why she loves it, and the future of GRL. During the interview, I kept wanting to gush about the program but really couldn’t find an intelligent way to do so… so here’s my attempt. There are so many young people who struggle with emotional and self esteem issues. More often than not, girls and gender nonconforming youth are constantly being held back both consciously and unconsciously. That’s why there is such a need for programs like these. Girls Rock Louisville offers them not just support and mentorship but also teaches self expression, how to form bonds, how to collaborate with others, and real-life examples in creative problem solving. These are tools that will better them in life, and better their communities as a result. To learn more and volunteer with Girls Rock Louisville, visit girlsrocklouisville.org or their Facebook page. To check out everywhere else Girls Rock is involved, go to girlsrockcampalliance.org. As always, you can click the player below to hear the discussion.